Since its rise to dominance in the late ‘90s, eBay has firmly established itself as the world’s premier marketplace. A gift and a curse to collectors of all types, eBay has proven successful at making the things on your wish list that much more accessible while simultaneously pooling buyers together to drive up prices. Along with the introduction of the MP3 digital audio format and the rise of online retail conglomerates like Amazon.com, eBay played its part to establish trends in the music industry that would ultimately force many local music retailers to close their doors for good. For the stores that did manage to survive this economic tsunami, less and less collectible albums were making it to their shelves in the first decade of the 21st century. Did some sort of ‘vinyl drought’ occur? Were the world’s used vinyl reserves being dried up by collectors nervously clutching their records, unwilling to part with their precious physical medium as millions of copies of recorded music evaporated into ‘the cloud’? Far from it. In 1995, a rare record worth a couple hundred bucks may have sat in a store for months before someone eventually came along who was both interested and could afford it. Fast-forward to 2005 and the same record was selling to the highest bidder on eBay for multiple times the shop’s sticker price. On top of that, the dealer would turn a profit in as few as seven days. It was a win-win for the dealers, and though one of the evil yet necessary byproducts of this shift was a less fulfilling digging experience for collectors, most dealers didn’t have any choice in the matter. Physical sales of all types were way down and this was the only way for them to stay afloat. Sad but true, we now live in a digital age where the thrill of the hunt has been replaced by the excitement of snipe bidding. The rarest, most collectible items cost more now (a lot more), but the good news is there’s a nice copy of Tina Brooks’ True Blue dangling in front of us three or four times a year. Though I’ve been buying and selling records of all types on eBay for over a decade, I started getting serious about jazz vinyl about four years ago. Since then I’ve learned that the jazz vinyl market has its own unique code of conduct when it comes to eBay, and though I’m confident that just about any type of collector will find something useful here, the wisdom contained within will best serve collectors who share equally in my tortuous combination of excruciating attention to detail and lint-filled pockets. This guide should also serve as a voice of reason. I’ve met a lot of people in this hobby over the years, and just about every one of them (myself included) admits to getting a little nutty at times when it comes to bidding on auctions. In a way, this list is also intended to encourage collectors to resist the temptation of being one of the senseless bidders contributing to the ridiculous inflation of auction prices that I have seen all too often. Follow the twelve commandments below and I guarantee you will never regret a click of the mouse again. 1. Avoid sellers who don’t accept returns. True, nowadays you will probably still be awarded your money back even if you have an issue with a record when the seller indicates that they don’t accept returns. But I like a seller to show a sign that they understand that record grading is ultimately open to interpretation, and by indicating that they accept returns, a seller is making a peace offering with me, the buyer. Without it, I fear that I’m about to go to war. 2. Use jacket grading as a measure of how liberally a seller grades vinyl. Take a look at the jacket grade then take a look at the jacket photos. Do you agree with the seller’s grade? If so, you’ll probably agree with their record grading. If the jacket’s over-graded though, chances are the record is too. 3. VG records don’t sound very good. Contrary to many sellers’ claims, VG records aren’t generally “a fine listening experience!” These records might sound ‘decent’ or even ‘good’ to less fussy collectors, but keep in mind that there’s a lot of room for improvement with this ironically substandard grade. 5. Assume the lower of a split grade. If a seller uses a split grade like VG+/VG++ or VG+(+), my advice is to always assume the lower grade and bid accordingly. 6. If a seller mentions an issue with a record, they mentioned it for a reason. If they mention any type of imperfection — pops, ticks, surface noise, a warp, etc. — no matter how persistent they are in trying to downplay it, they mentioned it for a reason. If you’re picky, this is code language for ‘this is not for you’. 7. Incomplete photos. One of my pet peeves is when a seller only takes one photo of the front of the jacket then proceeds to explain that there is writing on the back. How bad is it? Is it a small name written in the corner or giant radio station call letters scribbled in magic marker? I don’t care about this as much for records under twenty bucks (so long as the grade is on the higher end of the scale and the description doesn’t mention any writing or defacing), but if the record is relatively expensive I need to see decent photos of both labels and the back of the jacket at a minimum. 8. Unusual grading systems. Way back before the internet existed, the most popular way for someone to get a sense of a record’s worth was to look it up in Dave Thompson’s Goldmine Record Album Price Guide. Perhaps due to the fact that many records traded hands back then by way of blind catalog ordering, the record collecting community moved to democratically adopt the guide’s grading system (VG, VG+, VG++/EX and NM) as an industry standard, which included detailed explanations for each grade. Being from that era, I find grades like VG+++, EX+ and NM- confusing and misleading. I respect a seller’s freedom to use a grading system that works best for them, but there needs to be an explanation of that system for me to be considered a serious bidder. 9. Overhyping records. I understand that it’s in every seller’s best interest to make their product sound as good as possible, but item descriptions with an overabundance of exclamation points and giddy adjectives can’t help but make me wonder. 10. If you’re on a budget, don’t get your hopes up with popular sellers and big batches. Although popular sellers often have nice records, they usually go for a premium due to their increased exposure and the seller’s reputation. Records also sell for a premium during a ‘feeding frenzy’: when a seller lists many rare, in-demand records for auction all at once. 11. Use caution with rare vintage records available for Buy It Now. There’s an unwritten understanding between experienced collectors and dealers that the good stuff always goes up for auction. If you’re in the market for reissues, good deals can be found with Buy It Now, but most clean originals end up as auctions because in theory there’s no limit to what they will sell for. 12. And remember… grading records is ultimately a subjective process open to interpretation. I try to keep this in mind when I receive a record I don’t think is in the condition described. If a seller accepts returns, I don’t jump to open a case against them, I simply send them a message apologizing for the misunderstanding and I’ve never had an issue making a return that way. I’ll even leave the seller positive feedback for being so accommodating. 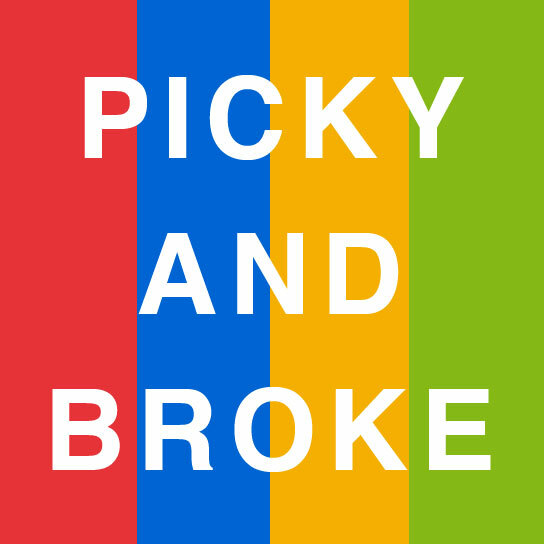 After all, I am pretty picky. Get email notifications when there's new posts on dgmono.com!